“If she’s got a few more hooks and massive bangers ready in the wings she could be a star,” I said of Alice Chater back in August. 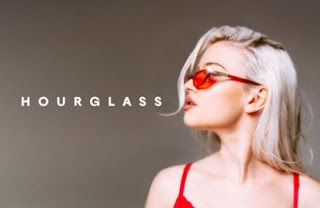 Well, here’s her new song Hourglass. And guess what? It’s a banger. With some hooks. Last time she grabbed the discotastic melody of Ring My Bell by Anita Ward for her song Heartbreak Hotel and this time she’s only gone and bloody sampled The Human League’s Don’t You Want Me, which any wedding / pub / party DJ will tell you is absolutely guaranteed to get persons of a certain age group up on the dance floor. Then there’s the fact that Alice pulls some serious shapes in this one-shot video. Imagine if Britney Spears was a phone and you could upgrade her. Likewise Madonna. Or even perhaps Lady Gaga. Your new model would be Alice Chater. If mainstream pop goes through cycles of highs and lows then at the moment it's largely going through a bit of a low. Alice Chater seems to be trying to change that. New Music: Lauran Hibberd - What Do Girls Want?